A couple of you have asked how I drilled into the fender, whether I removed/loosened it, etc. I did not remove or loosen the fender. I used strong adhesive glue to attach it and left that overnight, with a couple pieces of tape to prevent gravity from taking over while the glue was drying. Then I drilled two holes, and you can see approximate locations in these photos. The drill bit is touching the screw in the first photo. Perhaps my drill is shorter/lower-profile than other list members' drills? My drill was at a slight angle, and I pushed the drill bit in further than normal. But the drilling itself is easy through plastic, and I can feel the tips of the screws inside the fender so I know they are installed all the way. Thanks! I can’t see the lil push rivets holding the extender in place at all. If a liberal amount of epoxy didn't hold it how would these rubber rivets keep it secure? Drilling and using the screws seems to be the only way. 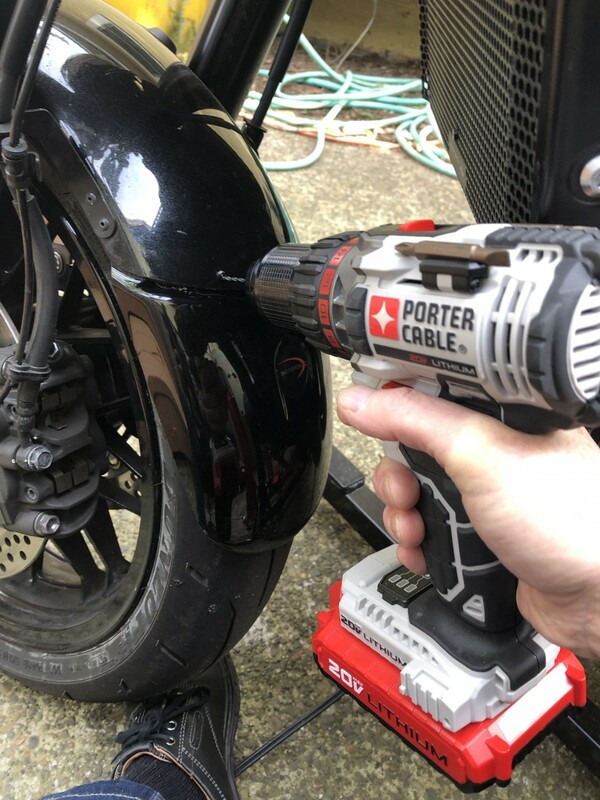 I used 3M "Extremely Strong" mounting tape - the kind with red plastic peel-off strip - with no screws or rivets when I added a Powerbronze Fender Extender to my Z900RS, and it seems to be holding perfectly so far. To be fair, it has only been a few days and a couple of hundred miles and no bad weather just yet. 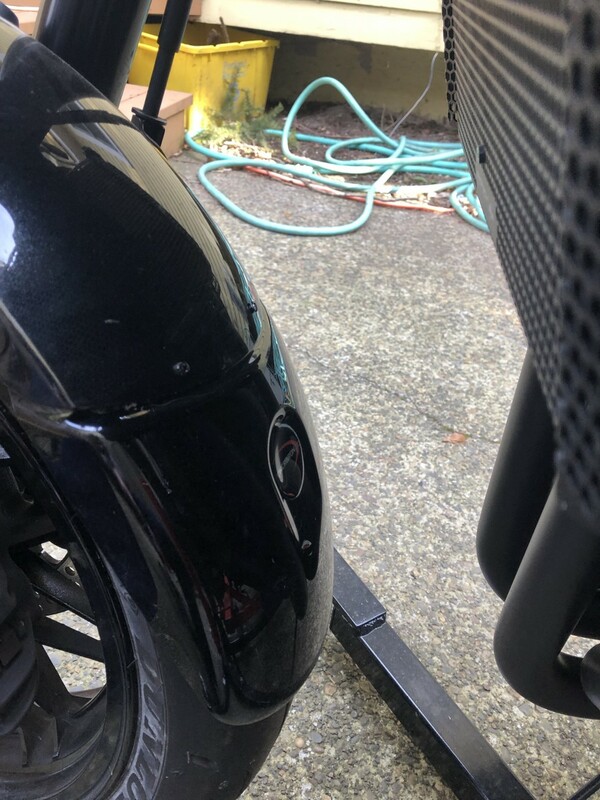 But I did the same with my Pyramid Plastics fender extender on my Versys 2 years and 8,000 miles ago, and it is still holding strong. I would also feel quite confident in using 3M Plastic and Emblem adhesive for this task, and would have done so if I'd had a tube of it handy, because it would have been slightly easier than cutting the tape to fit. I once used it for attaching vinyl trim to a car and it stuck like a barnacle. It held for years and is probably still holding today, if that car is still on the road. No, I don't work for 3M or get anything for mentioning this, I just have tried and been very happy with these two products. YMMV. How many miles on that fender extender so far?